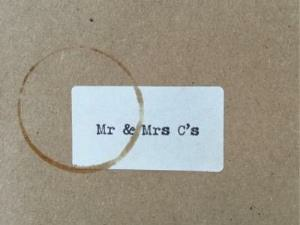 Mr & Mrs C's07794687657work CafeMr & Mrs C's is a family run Café, Deli & Bakery in the heart of Wakefield. Using only local produce when available, with all bread and cakes freshly made every day by the truly divine Time Bakery. The café have a laid back feel and their make sure you get the ultimate coffee and lunch. Mr & Mrs C's is a family run Café, Deli & Bakery in the heart of Wakefield. All their coffee's are personally selected each month to ensure you get quality and great taste. Town Centre, Junction 41 M1, follow signs for Town Centre. Parking available on Wood Street.